Ever wonder how a nuclear reactor works? Here are some graphics that will quickly bring you up to speed on how electric generation works using nuclear fuel. Animated nuclear energy generation graphic. Another view of a boiling water nuclear plant with flow into the cooling tower. 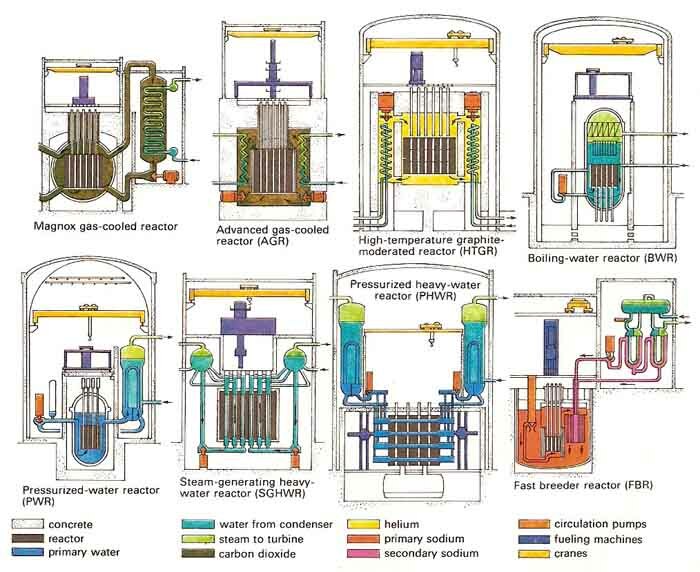 Multiple reactor design types have evolved over the years. Generally the concept is the same with tweaks in energy exchange or cooling approaches. 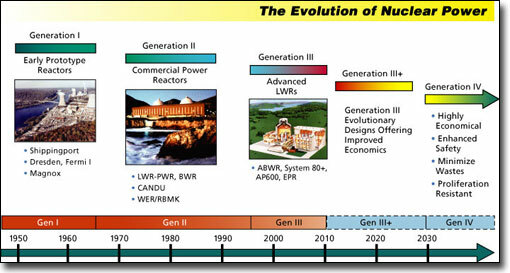 Nuclear reactor designs are defined in generations with some engine types confined to a particular generation. The 3rd generation(s) have seen a significant leap in nuclear energy safety. Beyond the basic designs on how nuclear reactors work, new thinking is emerging on how to use nuclear power with expanded thinking around nuclear complex design concepts.